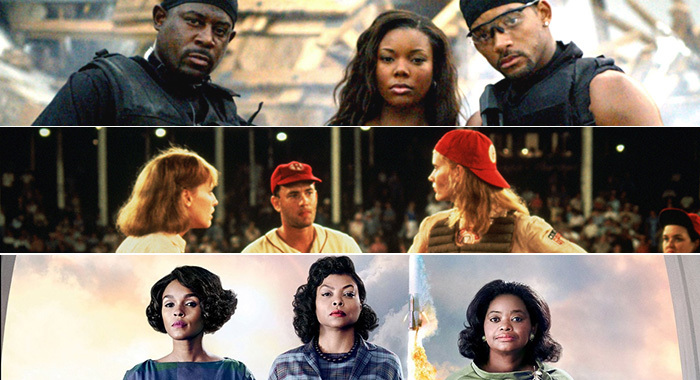 Hidden Figures, A League of Their Own, and First Wives Club are in development for TV, while movies like High Fidelity and Bad Boys are getting small-screen treatment with women in the lead roles. Networks have scored of late with reboots of old favorites like Will & Grace (NBC) and Roseanne (ABC) and have also produced decades-delayed spin-offs of beloved shows like Fuller House (Netflix) and Girl Meets World (Disney Channel) to varying degrees of success. A trend of films being adapted to TV series has also popped up, sometimes to critical acclaim — Fargo (FX), Bates Motel (A&E) — or to pack another punch in an already punchy action franchise — Taken (NBC), Tom Clancy’s Jack Ryan (Amazon). But a shift in that trend has emerged in recent weeks with multiple networks and streaming services announcing shows in development that are based on movies with female leads. And perhaps taking a cue from all-women film remakes like Ghostbusters and Ocean’s 8, there’s also a wave of shows being developed that reimagine a film or franchise with a female lead or all-women cast. Read on to find out which women-led television adaptations of films are coming down the pipeline, and what we know so far. Based on the non-fiction book of the same name by Margot Lee Shetterly. The film, starring Taraji P. Henson, Octavia Spencer, and Janelle Monáe, was nominated for three Academy Awards in 2017, including Best Picture. 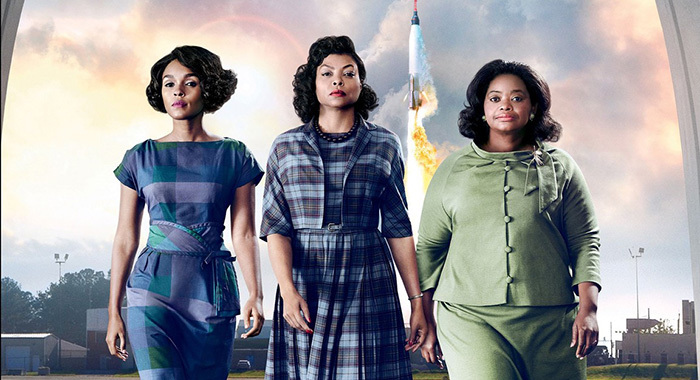 Coming to TV: A scripted series based on the true story of the black female mathematicians who were instrumental to NASA during the Space Race. Everything we know so far about the show: The series is currently in development and will be executive produced by Peter Chernin and Jenno Topping, who executive produced the film. We’re guessing: If the series gets picked up to pilot, it will be a great opportunity for Nat Geo to continue to capitalize on scripted content, after its CEO announced the channel’s push towards scripted content in 2017. 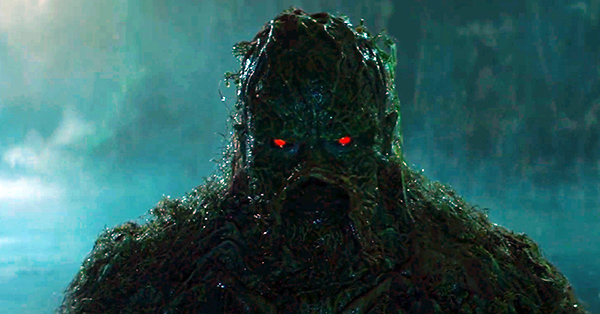 The movie’s recent success could draw in viewers, but the series could dig a little deeper into the characters’ backstories and not just remake the film over an extended episode order. 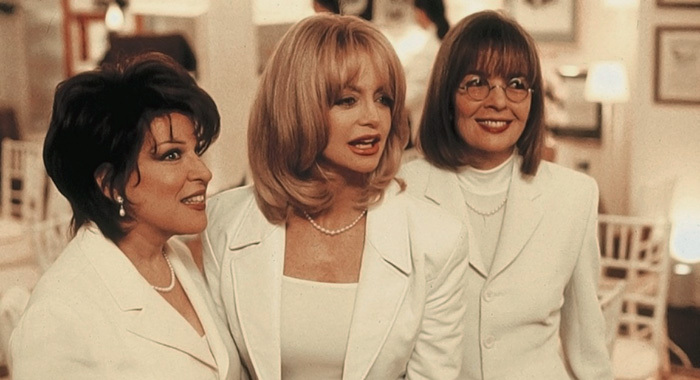 Based on the 1992 best-selling novel of the same name by Olivia Goldsmith, the 1996 comedy starred Diane Keaton, Goldie Hawn, and Bette Midler, is considered a cult classic, and was adapted into a musical that played in San Diego in 2009 and Chicago in 2015. Coming to TV: A half-hour comedy based on the film about three New York City women seeking revenge on their ex-husbands who left them for younger women. Everything we know so far about the show: This remake was originally developed for TV Land, then was moved to Paramount Network (formerly Spike) when the new channel began to develop scripted content. The pilot, by Girls Trip co-writer Tracy Oliver, was greenlit by Paramount Network. We’re guessing: If Oliver stays on as showrunner, the series could become a surprise breakout comedy contender. Paramount Network, however, also developed an ill-fated and negatively received TV version of 1988 dark comedy Heathers, which has been postponed. Directed by Penny Marshall, the 1992 film starred Geena Davis, Tom Hanks, Madonna, and Lori Petty. It was was the 10th highest-grossing film of that year and is currently preserved by the Library of Congress. Coming to TV: A scripted series based on the film about the World War II–era, All-American Girls Professional Baseball League. 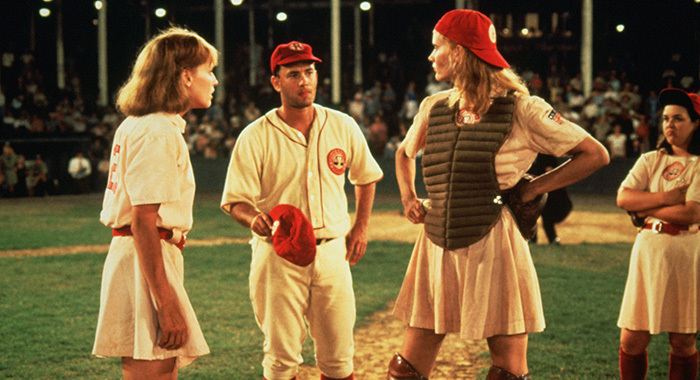 This is the second A League of Their Own television series, following the short-lived 1993 CBS series of the same name that lasted six episodes. 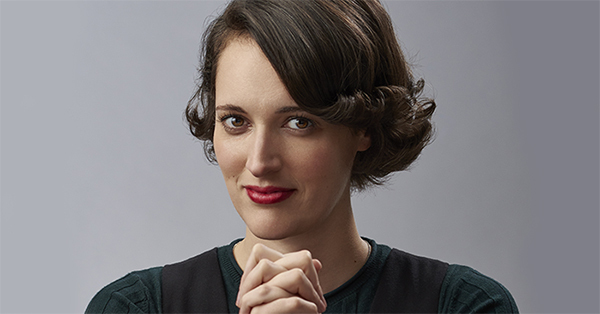 Everything we know so far about the show: The series is currently in development with Mozart in the Jungle executive producer Will Graham and Broad City co-creator and star Abbi Jacobson on board as writers and executive producers. They’re currently negotiating for principal roles, so hopefully we’ll be hearing more about casting soon. We’re guessing: If the critical success and awards acclaim of Graham’s Mozart in the Jungle is any indication, the show will likely be a home-run for Amazon. And with Jacobson at bat as a potential showrunner, the series may lean more heavily on the film’s comedic aspects for a fresh, new take. Based on the 1995 novel of the same name by Nick Hornby, the 2000 film stars John Cusack as Chicago record store owner Rob Gordon, who seeks out his past relationships in order to find out why all his relationships go awry. Coming to TV: A romantic comedy with a female lead in place of Cusack’s Rob Gordon character, the series will follow the character as she recounts her past relationships in a mixtape-meets-diary style. Everything we know so far about the show: The series is one of the first projects to be announced for Disney’s upcoming on-demand streaming service, which will feature both pre-existing and original content. It will be written by writers-producers Veronica West and Sarah Kucserka, who are best known for their work on Ugly Betty. Scott Rosenberg, who co-wrote the 2000 film, is on board to produce as part of the Midnight Radio production team. We’re guessing: There’s currently an air of intrigue surrounding the mysterious, unnamed Disney streaming service. While many expect original content based on Disney’s many big-name acquisitions — like Star Wars and Marvel — a teen-friendly reboot of an R-rated romantic dramedy seems a little out of place. 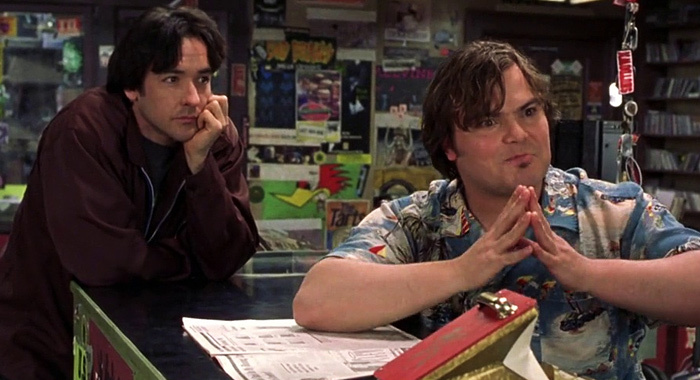 But with Ugly Betty’s writers tapped in for the project, the High Fidelity series may come as a welcome surprise. The buddy cop comedy film series starred Will Smith as Det. Mike Lowrey and Martin Lawrence as Det. Marcus Burnett, narcotics detectives in the Miami Police Department. Despite their Rotten Tomatometer scores, both films were financial successes. Coming to TV: An untitled spin-off of the movie franchise, with Gabrielle Union reprising her role from Bad Boys II as Special Agent Syd Burnett, Burnett’s sister and Lowrey’s love interest. The series follows Burnett after leaving the DEA for the LAPD, where Nancy McKenna (Jessica Alba) is her partner. 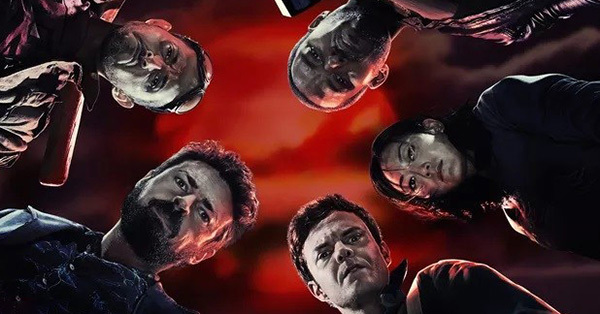 ​​Everything we know so far about the show: The series is currently being written and executive produced for NBC by Brandon Sonnier and Brandon Margolis, who worked on The Blacklist. Jerry Bruckheimer, who executive produced the Bad Boys film franchise, is also set to executive produce the television series. ​​We’re guessing: A network procedural starring Union and Alba will be sure to draw audiences and has the long-running potential of Bruckheimer’s ultra-successful CSI series.